This MCLE is being held on Tuesday April 23, 2019 in the KCBA office at 1112 Truxtun Avenue. $25/ per person, lunch included. MCLE 1.5 credits (1 general, .5 ethics). 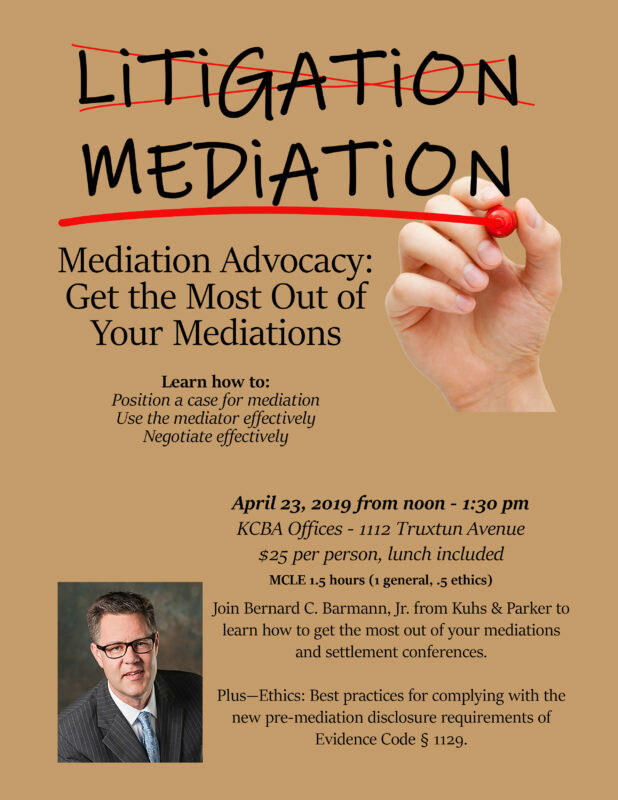 Join Bernard C. Barmann, Jr. from Kuhs & Parker to learn how to get the most out of your mediations and settlement conferences. Plus – Ethics: Best practices for complying with the new pre-mediation disclosure requirements.